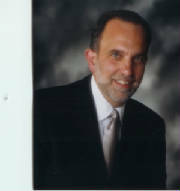 Kevin Altomari has extensive experience in nonprofit management that is anchored by over 27 years in higher education. He has assisted clients in varied strategic planning efforts from program planning for overseas training, to business development for both for profit and nonprofit businesses, to strategic market development. He has also assisted organizations in determining needs and developing plans related to reorganization in support of new business models or to respond to right sizing needs. Central to any strategic planning effort is the development of mission, vision and values; Mr. Altomari has worked with a number of organizations in understanding their importance and in facilitating their development. Mr. Altomari works with clients on strategic management, strategic planning, and governance. His understanding of the integration of these processes and their relationship to strategic marketing and environmental scanning can maximize the planning tool. Kevin Altomari serves as an adjunct faculty member for the Graduate School of Public and International Affairs at the University of Pittsburgh and in the business development program at Community College of Allegheny County. In addition to his work with The Redan Group and teaching, he serves on the boards of several nonprofit organizations. Mr. Altomari holds degrees from Duquesne University and The University of Pittsburgh.